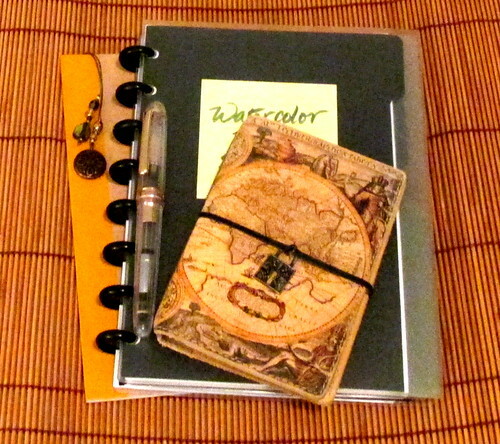 It is always satisfying to assemble a DIY journal for a new year. For 2018, I discovered a leather passport case that will accommodate two Traveler’s Notebooks. It makes a small and lightweight companion that takes up little space, but looks great and offers enough pages to keep the writer in me creative and content. 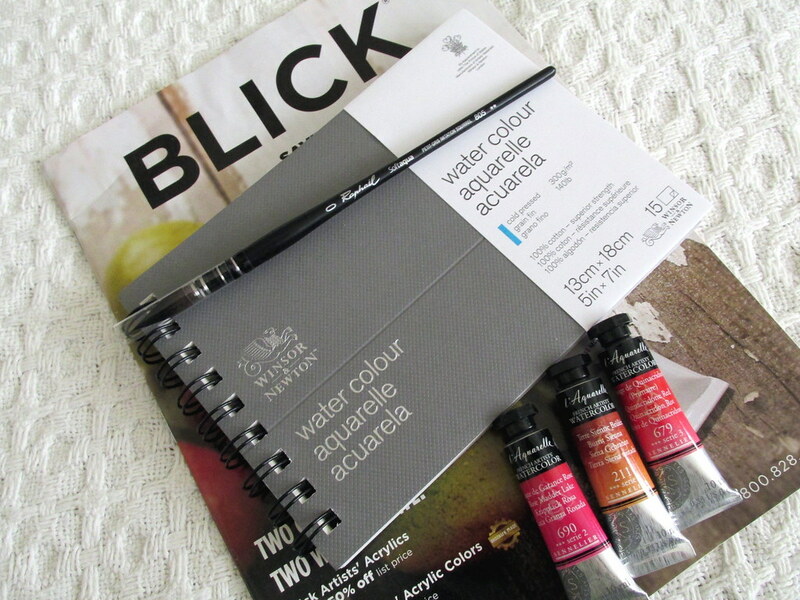 The notebooks come in diary, blank, grid and lined editions all with fountain pen friendly paper. I prefer the Traveler’s #005 with Tomoe River paper that Leigh Reyes introduced me to a few years ago. 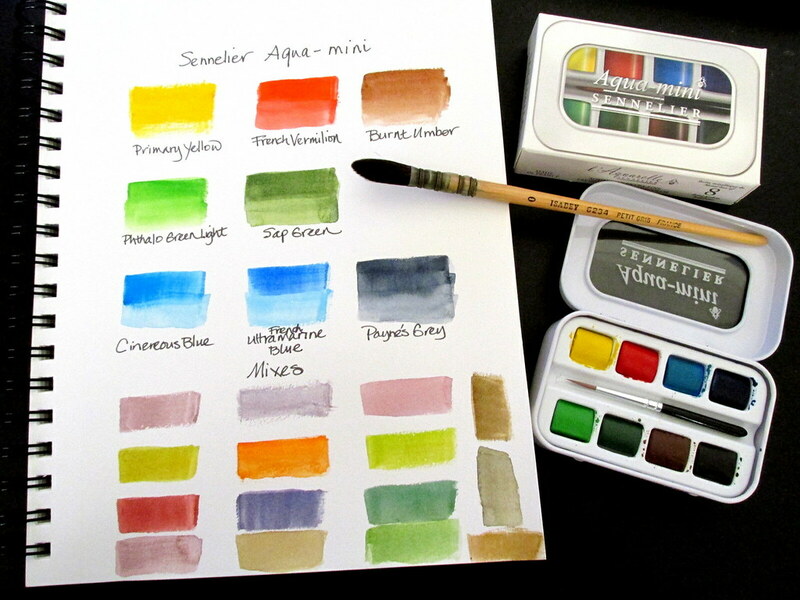 Tomoe takes fountain pen ink like a champ, but also holds up to a light watercolor application which makes it fine for small sketches or to add extra color to written pages. 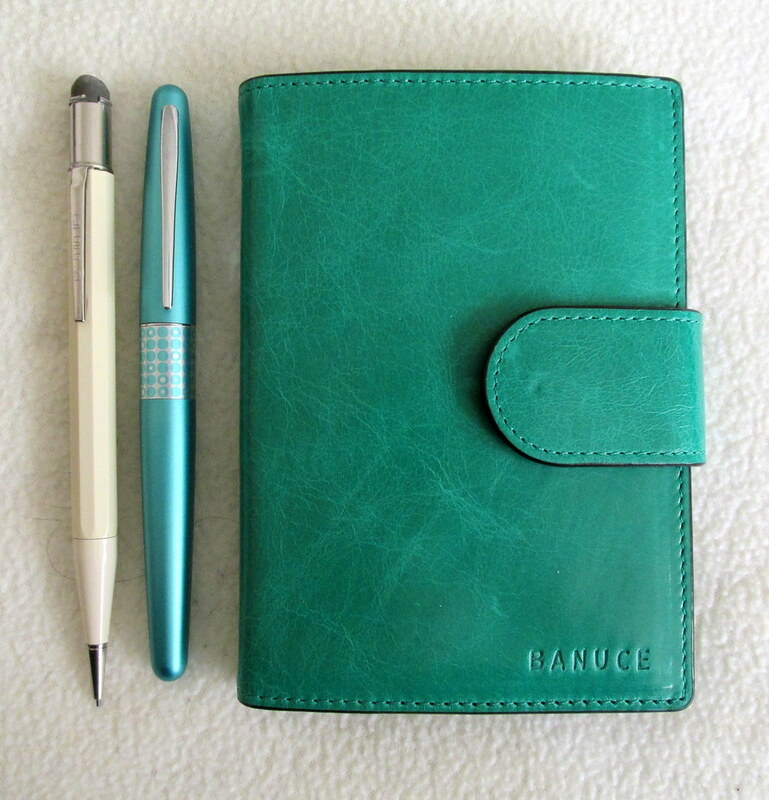 The Sea Green (more teal than turquoise) cover from Banuce is eye-catching and just the right size for the Traveler’s Notebook. It has lots of slots for credit cards, stickers, and other bits and pieces. 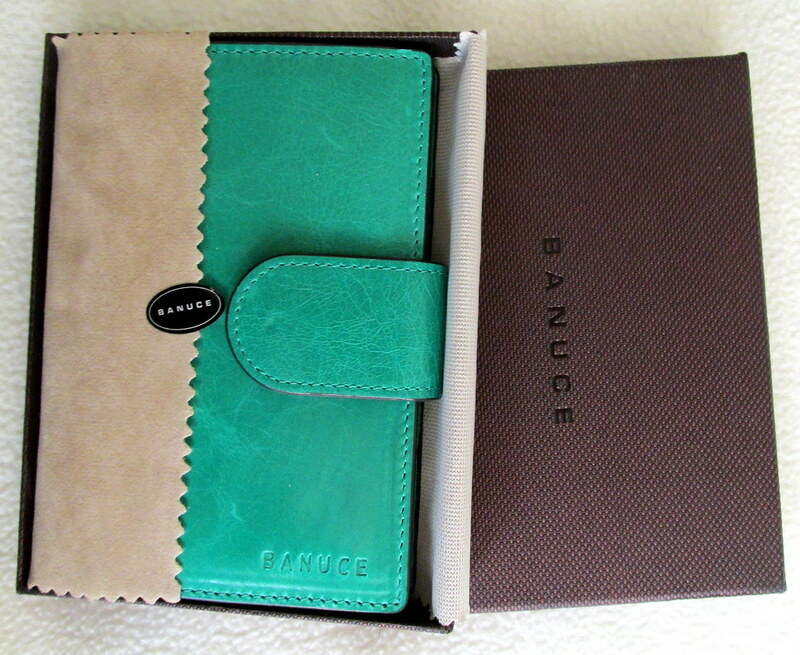 Another passport-sized cahier might fit, but the Moleskine does not. I might purchase the coral to house all those lists and task notes that clutter my desk. Two notebooks doesn’t seem excessive when it comes to being organized, does it? 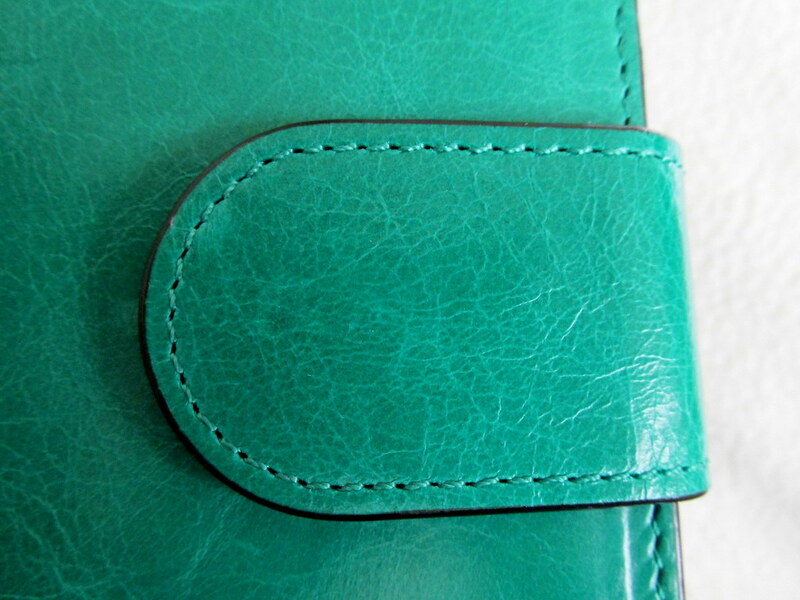 The leather is smooth to the touch, but firm enough to give the journal a solid writing surface. Either a writing board or a piece of blotting paper will protect lower sheets, but Tomoe has rarely bled through in my experience. The cover folds back easily for notes on the go. The snap clasp will keep everything firmly inside. The corners are slightly round, and the stitching consistent. The black edging offsets the striking color and gives the journal a finished look. The only drawback is the over-sized stamp of the manufacturer’s name. It would have been more subtle centered on the lower edge of the back cover. This is not a pricey item and durability is hard to predict, but it should last through the coming year. 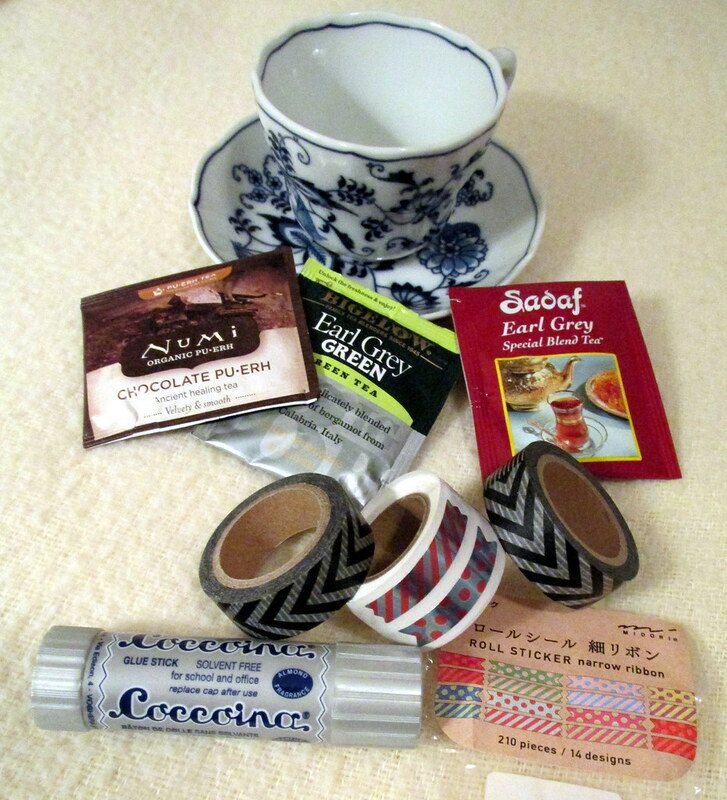 It arrived attractively packaged should you want to give it as a gift. 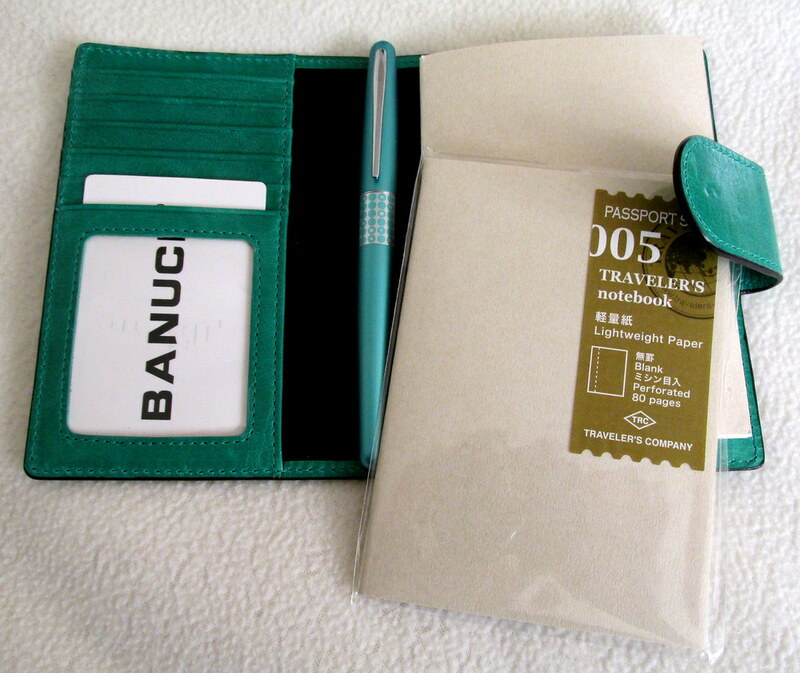 Add a Traveler’s Notebook and any writer would be happy to fill the pages. 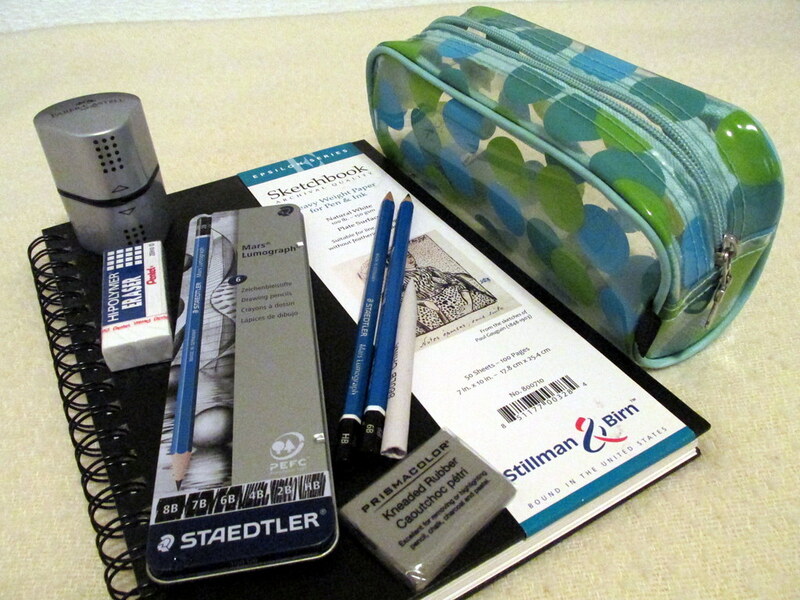 For less than $15, the cover and notebook make quite the bargain. 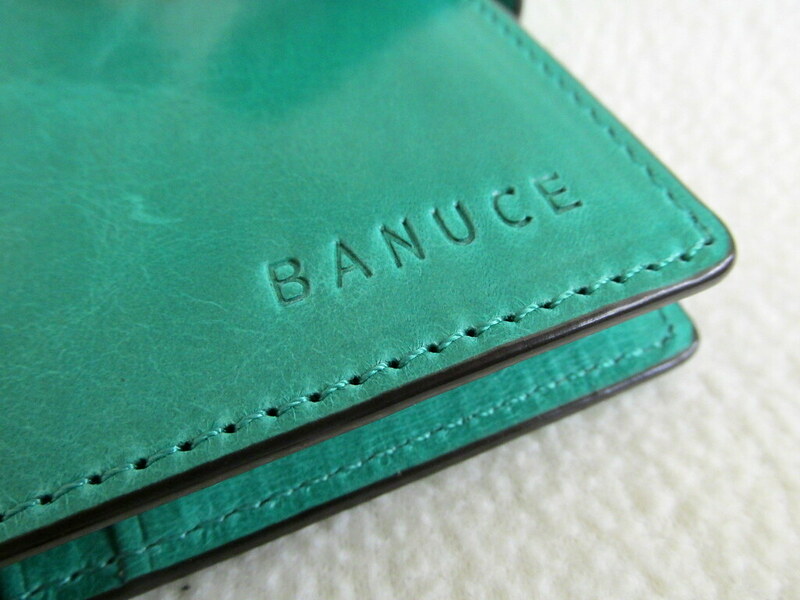 Banuce passport covers here and here. Traveler’s Notebook with Tomoe River paper. J. Herbin Blotter Paper. 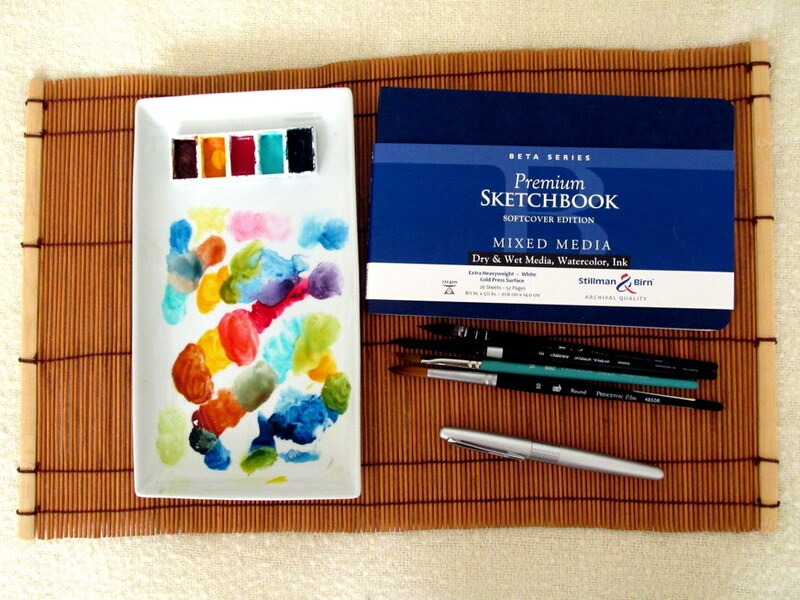 Taroko Design Pencil Board. All links are to Amazon. 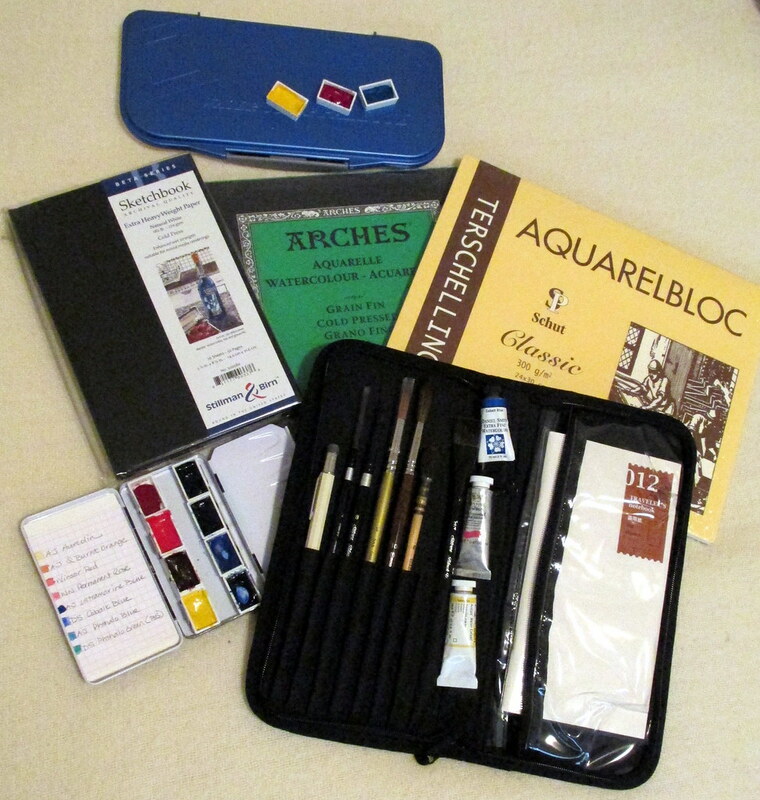 When you purchase through my links, I get a tiny commission but every penny helps keep this Inkophile supplied with new items to review. Sunday Reads On A Saturday? Holiday tomorrow so links are posting a day early. Scribble Jot: What makes paper fountain pen friendly? What prompts you to write in your journal? Many of us start a new one in January which makes this a good month to examine and strengthen what works. 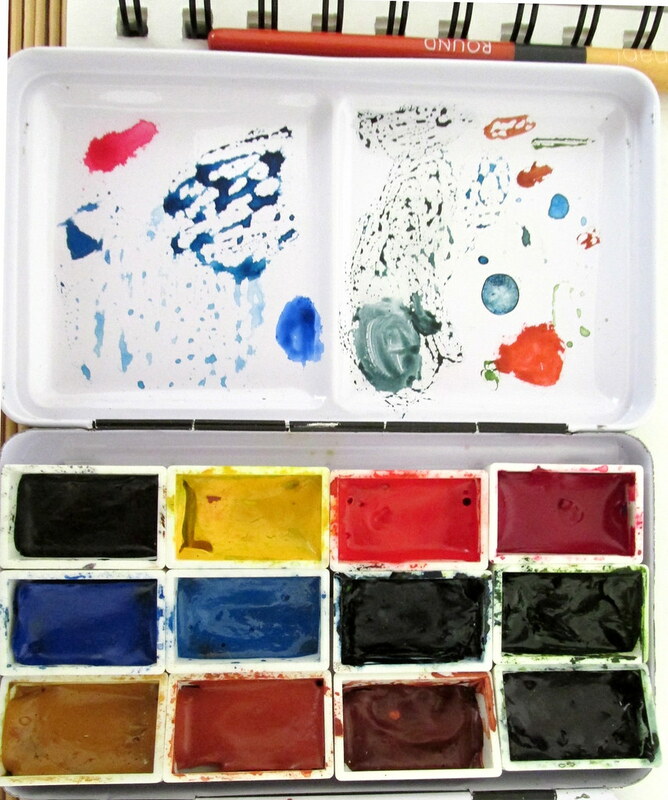 Fountain pen people may do it just for the joy of using a favorite pen or a pretty new ink. Sometimes it’s the luxurious feel of a perfectly tuned nib sliding across velvety paper. A touch of the hedonist may drive us to such pursuits, but it is good, clean fun. It doesn’t have to be just words that make it on paper. A doodler can use a glyph or squiggle to fill lines and spaces. 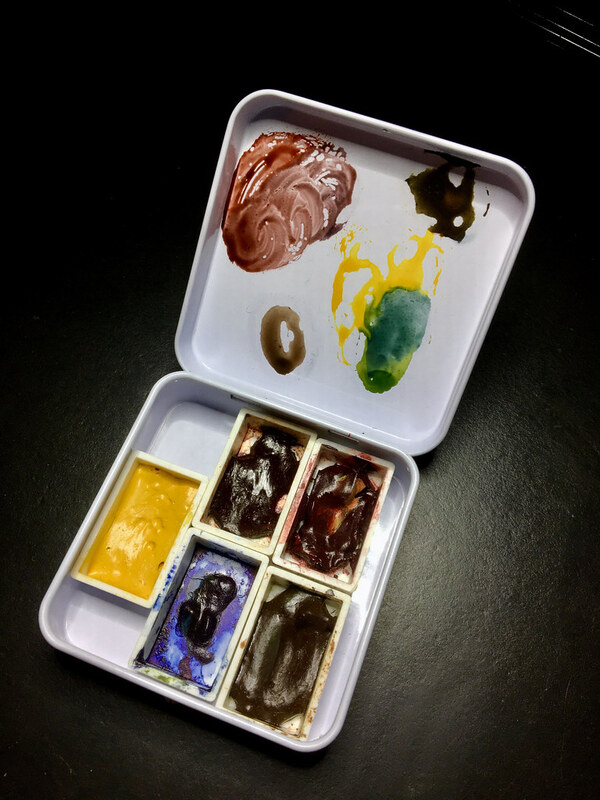 Watercolor may come into play, but glued on bits of ephemera count as well. Stickers, tickets and postage stamps can inspire lengthy entries or at least make the pages look satisfyingly full. But what prompts the writer, the serious writer, to put pen to paper? What inspires that flow of words? An experience of the day, something in the news, an errant thought? Do you have a book of prompts or a theme to explore? Really, how do you do it and what do you do it with? Writing in my journal can bring out the minimalist in me. I like using a light to medium weight pen with an ink to match the subject or something very neutral that won’t detract. Recently, four pens have graced my long sessions: two Pilot Metropolitan Mediums, a Lamy Studio Fine, and a Platinum Nice Medium. The Lamy is a little heavy for more than four or five pages, but the others are good for miles of adventure. Current inks are Iroshizuku ama-iro, Pilot Blue-Black, J. Herbin Terre de Feu and Sailor Tokiwa-matsu in the second Pilot Metro. Today my journals include one from Paper for Fountain Pens with Tomoe River Paper, Staples Arc, a new Muji notebook and a (Midori) Traveler’s Notebook, most often a #013. 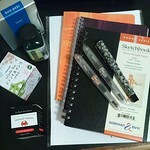 Any of these tools can prompt me to journal. 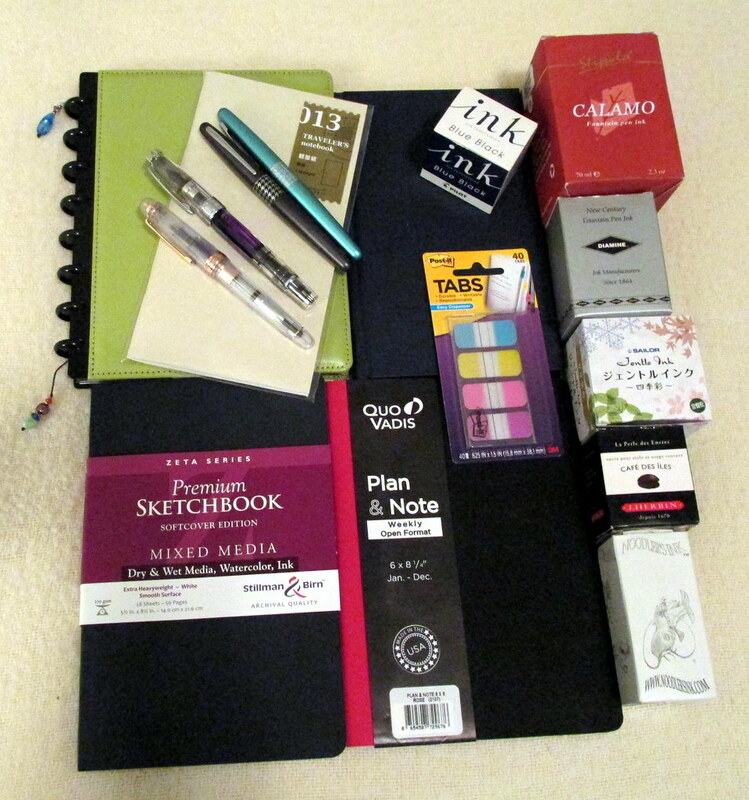 Four pens, inks and journals would seem like enough variety for an inkophile. Or maybe not. The Stillman & Birn Epsilon, Stipula Verde Muschiato, and the lovely, lovely Platinum #3776 music nib are ready to go. Oh, look at that. Ku-jaku just waved at me with a charming, beauty-queen-riding-in-a-parade gesture. So much for my minimalist rotation. Is this a hopeless addiction or what!